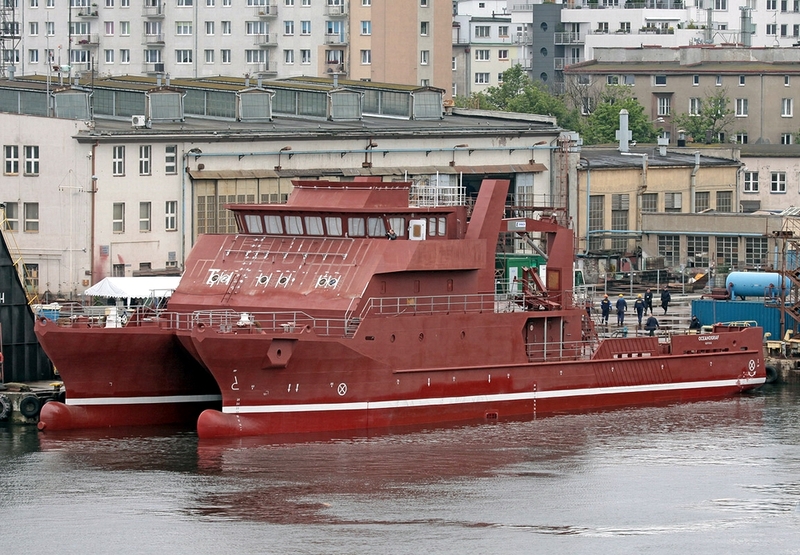 Research catamaran vessel Oceanograf for The University of Gdańsk shortly after launching. 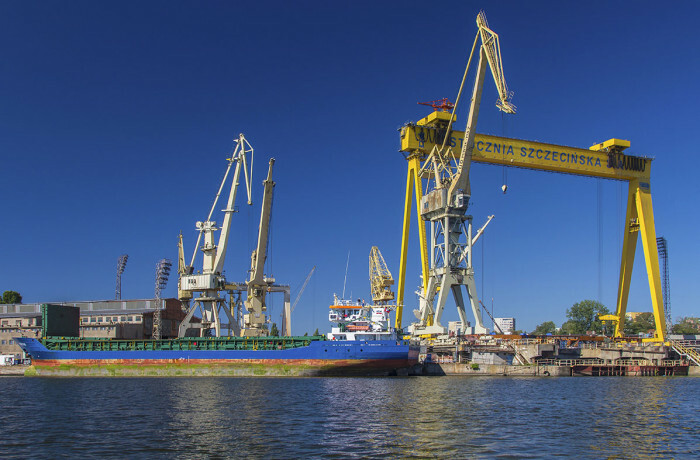 On 24th of June 2015 a consortium of Nauta Shiprepair Yard and Crist from MARS Shipyards & Offshore group launched a special purpose catamaran vessel for interdisciplinary research of the sea. 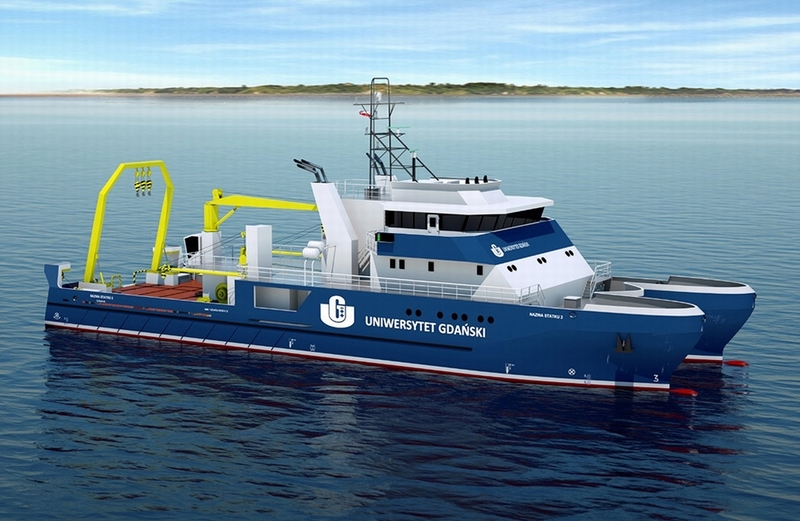 The Oceanograf was ordered (with the newbuilding contract signed in January 2013) by Institute of Oceanography, The University of Gdańsk. The keel was laid in May 2013. The catamaran is a special research vessel intended for biological, chemical, physical and geological research of Baltic environment and nature. Apart from laboratories, observatories and a seminar room there will be room for classes for students of oceanography and other departments available onboard. The ship will accommodate up to 20 persons. Owing to the special scientific equipment Oceanograf will be one of the most modern vessels under the Polish flag. Due to the wide range of research that will be carried out, it will combine functions of various types of vessels. The catamaran is 49.5 m long and 14 m wide and can reach speed of 12 knots. Twin-hulled construction minimizes the roll angle, what is especially important during research at the sea because every unintended movement of the vessel can interfere with measurements. Funds for the investment in the amount PLN 36 million were granted to the University of Gdańsk by Ministry of Science and Higher Education. The basic area for research will be the Baltic Sea, but travels to other regions will be possible. The ship range will reach 2,500 nautical miles, and it will be capable of sailing for 21 days without new replenishment. Currently Nauta Shiprepair Yard is also building another research vessel ordered by the University of Gothenburg. 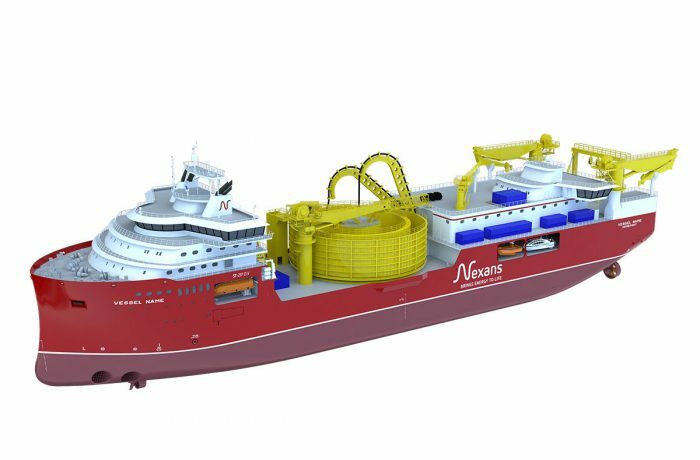 The purpose of the vessel will be interdisciplinary research on climate change, water levels and the system of currents, all of which significantly affect the sea environment. The vessel will be highly maneuverable at low speed, which will be achievable by using combined diesel-electric power unit. State-of-the-art technical solutions (i.a. the SRC system), causes lowering of fuel consumption by approximately 40 percent, also the discharge of liquids into the sea will be eliminated and the emissions of fumes reduced. In addition, due to the working environment, the noise and vibrations on the outside of the hull will be low – as one may read in yard’s official press release. 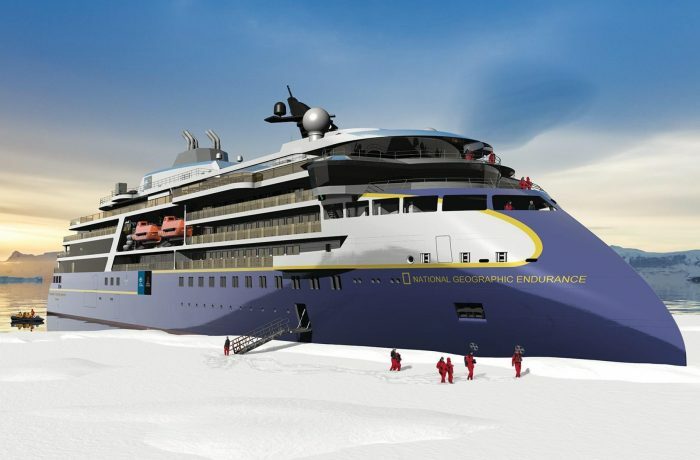 The ship was initially expected to be delivered during summer 2014. It is now expected it will be delivered early 2016.